Both [Iraqi Security Forces’] tactical and institutional performance is improving. They must now be tied together. The big challenge in 2008 will be finding an adequate number of leaders to lead this institution that is large and increasingly capable. We’ve been growing young second lieutenants through the military academies for about three years, but it’s really difficult to grow majors, lieutenant colonels and brigadier generals. It simply can’t be done overnight [emphasis added]. Over the past year, the Chinese People’s Liberation Army (PLA) started implementing a series of major changes to its national and theater (regional) levels of command, the “institutions” that plan, command, and sustain joint operations. With no modern combat experience in complex combined arms or joint operations and according to conclusions found in their own self-examinations, the maturation of the PLA’s command structure has not kept pace with the new weapons and capabilities that have entered the force over the past two decades. The fundamental factor in building these new headquarters is improving the quality of commanders and staff personnel, a complex process, which as Gen. Dempsey noted, does not happen quickly in any military force. *** The View From Olympus: Is the Marine Corps Waking Up? From the mid-1970s to the early 1990s, the U.S. Marine Corps established itself as the leading service intellectually. The ultimate outcome was the adoption by the Corps of a new doctrine of maneuver warfare, which occurred in 1989. The driving agent of change was the Marine Corps Commandant at that time, General Al Gray. The Marine Corps’ intellectual endeavors paid large dividends. Not only did the Corps get a modern doctrine, its awakening drew strong support from Capitol Hill, the press, and the general public. I was Hill staff at the time, and the Corp’s clout in Congress was the envy of every other service. Then, after General Gray left the Commandancy, the Marine Corps went to sleep. The doctrine remained words on paper. Few efforts were made to align what the Corps did with what it said. The result today is a Marine Corps that can talk about maneuver warfare but, aside from a few islands created by individual commanders, cannot fight as a maneuver doctrine recommends. Like the U.S. Army, it just puts firepower on targets and expects that magically to yield victory. Against Fourth Generation opponents, it guarantees defeat. When General Robert B. Neller became Commandant earlier this year, no one expected any change in this situation. Neller was virtually unknown. To everyone’s surprise, he asked the question, “Are we really doing maneuver warfare? I’m not sure we are.” More, he has gone on to encourage others in the Corps to ask the same question. It is beginning to look as if the Marine Corps is waking up. Hamas is in an even tighter spot than usual. Though the Palestinian party is accustomed to navigating restrictions on its activities, for the past month, traders and merchants in the northern Sinai Peninsula have reported interruptions to their usual trade and smuggling operations into Hamas-controlled Gaza. Members of the Islamic State's Wilayat Sinai are behind this new blockade, an effort to punish Hamas for resisting greater coordination with the extremist group and for arresting Islamic State supporters in the Gaza Strip, apparently at Egypt's behest. The blockade has already hurt Hamas, according to local media and Stratfor sources in Gaza. Public markets are reportedly experiencing shortages, and the limited supply of weapons has driven up the price for Hamas. Party leaders have maintained that the blockade will not be much of a hindrance since Hamas can produce its own weapons. Continued production, however, depends on a steady supply of raw materials reaching Gaza. Since its sizable electoral victory a decade ago, Hamas has maintained popularity among its constituents with promises to wrest Palestinian territory from Israeli control and form a Palestinian state. But to pursue its goals and maintain its political and military dominance in Gaza, Hamas needs supplies and allies. Now that tensions with Fatah, the other main Palestinian party, are rising — enough so that elections originally slated for this year have been postponed indefinitely — Hamas needs all the help it can get to survive. Despite its rocky history with the government in Cairo, and the price it is currently paying for accommodating Egypt's wishes, Hamas cannot afford to risk its tenuous alliance with Egypt. 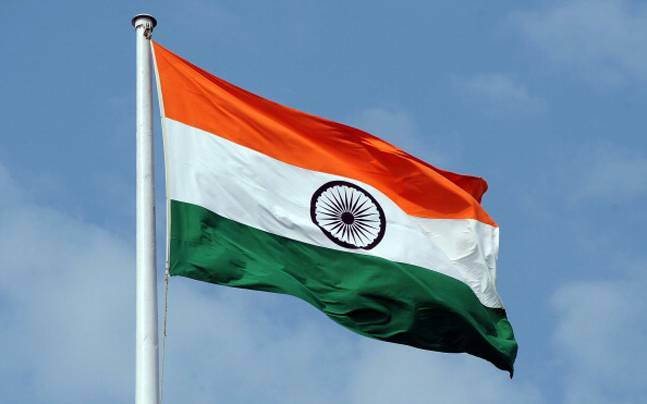 70 Years on, has India Learnt any Lessons? Has India ever learnt any lessons from the colossal blunders committed at random through 70 years of independence? It seems extremely doubtful in the light of its dealings with China and Pakistan. Today the country has been caught pincer like in their sinister machinations, leaving the political dispensation with very little leverage or room for manoeuvre, despite the hype surrounding the recent foreign policy initiatives. The entry of an old and dependable ally like Russia into the scenario, wanting a slice of the China-Pakistan Economic Corridor (CPEC) and cultivating the Taliban, has further compounded matters, a development that the country can only afford to ignore at its own peril, given the craven absence of political will. The portents are ominous, which are likely to become even more pronounced as weeks and months go by. Where does India really stand in the light of the rapidly shifting global game plans, despite strategic tie-ups with Japan, Vietnam and Philippines to keep the South China Sea lanes free for maritime trade and commerce? Beijing, which has helped arm rogue states like North Korea and Pakistan with nuclear weapons, relies on its vast military might and economic heft to arm twist countries like India that may unwittingly stand in its way. Contemptuous of global pressures, Beijing acts more like a bully than a mature nation, bent on getting its way. Pakistan officially announced that it had successfully tested, for the first time, a nuclear-capable-submarine launched cruise missile (SLCM) – the Babur 3- from a submerged platform on Monday (Jan 9). This is a major techno-strategic achievement in the naval domain and has elicited considerable notice. However aspersions are being cast about the authenticity of this ‘success’ and the parentage of the missile. This determination to acquire a submarine launched nuclear weapon capability was evident for the last decade plus and in keeping with Rawalpindi’s conviction that tactical nuclear weapons – notwithstanding their inherent de-stabilizing character – were necessary for Pakistan’s strategic parity with India. A new book argues that peace and stability through an understanding of military power, and not military force, is far more valuable than winning wars. 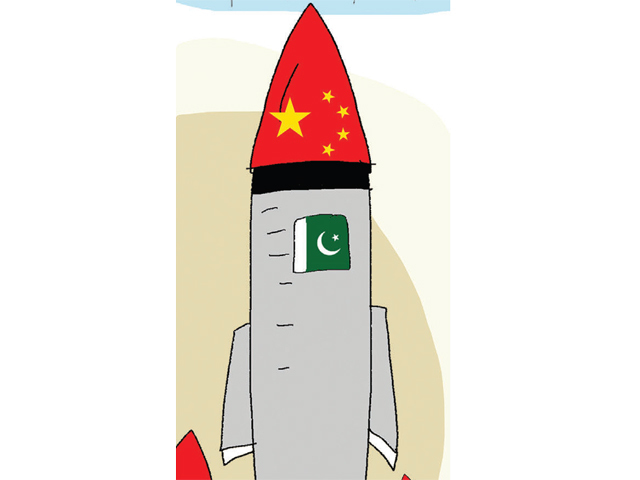 Let alone China, India cannot even win a war against Pakistan. And this has nothing to do with the possession of nuclear weapons – the roles of nuclear and conventional weapons are separate in the war planning of India, China and Pakistan. The reason India would be at a disadvantage in a war with Pakistan is because while Pakistan has built military power, India focused on building military force. In this difference lies the capability to win wars. Military force involves the mere collection of “war-withal”, that is, building up of troops and war-waging materiel; military power is about optimal utilisation of military force. It entails an understanding of the adversaries and the quantum of threat from each, the nature of warfare, domains of war, how it would be fought, and structural military reforms at various levels to meet these challenges. All this comes under the rubric of defence policy (also called political directive) and higher defence management, which in India’s case is either absent or anachronistic and in urgent need of transformation. Michael Flynn speaks at a ceremony to assume directorship of the DIA in 2012. India hopes a connection with Trump’s national security advisor can tip the scales against Pakistan. At a time when India-Pakistan tensions are high, New Delhi has once again ramped up its efforts to get Washington on its side. Hopes are high that that a new foreign policy team under the Trump administration might possess the key to curb the asymmetric warfare India faces from its western neighbor. In this context, it will be important to note how the relationship between the two countries’ national security advisors develops and to what extent National Security Advisor Michael Flynn may be able to influence U.S. policies on Pakistan. New Delhi has every reason to believe that engaging with the new NSA offers a golden opportunity to break the long-standing Pakistan paradox. There’s no doubt that U.S.-India defense ties have soared under the Obama administration, but there has always been a feeling in New Delhi that Washington has not done enough to rein in the anti-India non-state actors operating from Pakistan — despite U.S. attacks having taken out both Osama bin Laden and, more recently, Taliban leader Mullah Akhtar Mansour on Pakistani territory. China is eager to see Russia join The China-Pakistan Economic Corridor (CPEC) project, according to a recently published article in Globaltimes, though the Russian embassy in Islamabad denied the reports. “Russia’s participation in the CPEC, including the use of the Gwadar Port, could give a boost to Sino-Russian cooperation and be a demonstration project of One Belt and One Road (OBOR) that will enhance future multinational cooperation,” writes Li Xing. That’s certainly true. A sound infrastructure is a pre-condition for the economic integration of neighboring countries. But the real reason behind China’s eagerness to bring Russia to CPEC project is elsewhere in my opinion: use Russia to appease India, which claims control of a crucial part of CPEC. CPEC is part of China’s vision to write the rules of the next era of globalization and help its export and investment engines run for years to come. Pakistan’s Tests New Sub-Launched Nuclear-Capable Cruise Missile. What Now? Pakistan’s successful test of the Babur-3 submarine-launched cruise missile presents new challenges. On Monday, Pakistan announced that it had successfully carried out the first-ever test of its nuclear-capable Babur-3 submarine-launched cruise missile (SLCM) from a submerged platform. The test took place at an unspecified location in the Indian Ocean off the Pakistani coast. Maj. Gen. Asif Ghafoor of Pakistan’s Inter-Services Public Relations released limited footage of the test on Twitter that shows the missile’s ejection, launch, and finally striking a target with reasonable accuracy. The Babur-3 SLCM is officially rated for a range of 450 kilometers. On December 30, 2016, President Xi Jinping stated at the Chinese People’s Political Consultative Conference’s New Year Tea Party that “we must promote the development of cross-strait economic and social integration” and “promote cross-strait compatriots’ spiritual compatibility (心靈契合 ) for the peaceful development of cross-strait relations.” Unfortunately China’s actions toward Taiwan in 2016 were quite different from Xi’s remarks. After U.S. President-elect Donald Trump’s phone call with Taiwan’s President Tsai Ing-wen on December 2, Beijing has taken series of actions to punish Taiwan (formally known as the Republic of China, or ROC). First, on December 10, Chinese military aircraft flew over the East China Sea to the south of Okinawa and circled Taiwan’s air defense identification zone (ADIZ) before passing over the Bashi Channel to return to China. Later, the Chinese Air Force released photographs of its Xi’an H-6K nuclear bombers. It marked the second time China had flown long-range bombers in the region since Trump was elected. Two weeks later, China’s first aircraft carrier, the Liaoning, and five other vessels set off for the Western Pacific for an open-sea training exercise. The carrier group passed just 90 nautical miles south of Taiwan and arrived at a naval base in Hainan Province. The military signalling is clear: Beijing is undoubtedly stepping up its pressure on Tsai. Assad and his Syrian regime are just a figurehead; the real victory belongs to the resurgent Party of God. In a sparse, one-room hideout in Dahiyeh, a Shiite suburb of Beirut, Ali, a stout, friendly-looking man in his early 50s, sits on an iron-framed bed. A pistol is holstered on his hip, and an M-16 rests on a nearby table. His friend, a grizzled man of about the same age, stands watch at the door. The video shows him stooping down and running into a clearing, where someone has erected a banner bearing the symbol of Jabhat al-Nusra, a rebel Islamist group fighting against Syrian President Bashar al-Assad’s regime. Ali pulls the banner down and replaces it with the flag of Hezbollah, a powerful, Iran-backed Lebanese Shiite militia and political party that has been fighting alongside Syrian government forces since 2012. Be on the lookout for something big, bold and unprecedented from the dealmaker-in-chief. When the crystal ball dropped in Times Square this past Saturday, millions of people in New York threw the confetti, kissed their loved ones and sang Frank Sinatra’s “New York, New York,” with an eye towards a more hopeful future. Tens of millions of additional Americans across the country celebrated with a huge sigh of relief that 2016 came to an end; the year was bizarre, exciting, historic and fantastical all rolled into one. The topper of course was a real estate developer, reality television star and tabloid hound named Donald J. Trump beating the Republican and Democratic establishments with nothing but his propensity to rile a crowd, his Twitter account and his emotional connection to America’s working class. How could this year, indeed any year, possibly be as historic as 2016? 1. Putin the peacemaker: In the eyes of the west (excluding the rightist populist parties that are rising in Europe), Vladimir Putin is a former intelligence officer who is as cunning and clever as he is brutal. Imagine Putin cuddling with a cute, little puppy and…well…it’s practically unimaginable. The man has silenced his domestic political opponents, allegedly authorized the hacking of the Democratic National Committee and partnered with the Iranians to completely level one of the most iconic cities in the Middle East in order to strengthen the negotiating hand of a despot. Except that it isn’t. In an attempt to undermine the legitimacy of Trump’s win, his detractors are going into overdrive to exploit Russian shenanigans and to create a climate of hysteria. It is obvious that Russia attempted to interfere in the election. We fully support investigating what occurred in recent months. Nevertheless, we take issue with the rush to judgment by the media, Congress and, not least, President Obama and his political appointees. Short-circuiting Carbines procurement for Army, but why not Assault Rifles? 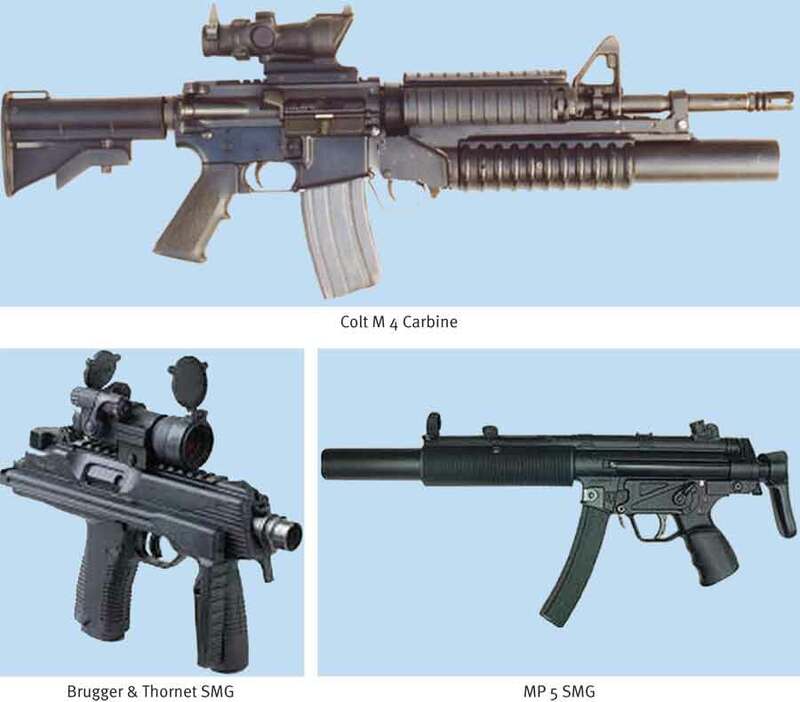 According to recent media reports, perturbed with the repeated failure to purchase 44,000 close quarter battle (CQB) carbines, crucial for counter-terrorism operations in Kashmir Valley, the Manohar Parrikar-led Ministry of Defence (MoD) will buy them directly instead of opting for the global tendering process. Media quoted an army officer involved in CI operations commenting on British-era carbines of the Army in saying, “These carbines were authorised to commanders of Ghatak Platoon, the army’s first line of offensive in anti-terrorist operations. But the weapons are no match for militants who use sophisticated automamtic weapons. In weapons and equipping, militants are multi-generation ahead of the army”. Isn’t it a shame for a nation of 1.2 billion people that after 69 years of Independence and fighting insurgencies and terrorism for decades, has its army so armed and equipped? Defence Minister Manohar Parrikar has reportedly decided to purchase 44,000 CQB carbines via direct route and cancel the tender process. The MoD has reportedly proposed an agreement under foreign military sales (FMS) with “a country” for buying 10,000 such carbines directly. The remaining lot (34,000) is to be manufactured in India with a production license to meet army’s requirements. According to a “top” MoD official, “With repeated failure to procure it (carbines) through the global tender process, the ministry has to go to for direct government-to-government sale for buying the weapon, which will speed up the acquisition process and will rule out allegations of corruption”. The Committee has recommended a number of measures to trim, redeploy and integrate manpower under the Ministry of Defence to meet the objective of an agile but effective military to meet current and future threats that India faces. If majority of its recommendations are implemented over the next five years, the government can save up to Rs 25,000 crore from its current expenditure. The Lt Gen DB Shekatkar Committee—appointed by the government to enhance the combat potential of the armed forces and re-balancing defence expenditure—has recommended a number of measures to trim, redeploy and integrate manpower under the Ministry of Defence (MoD) in a gradual manner to meet the objective of an agile but effective military to meet current and future threats that India faces, BharatShakti has learnt after speaking to multiple sources including some members of the panel. The Committee, which submitted the final report to Defence Minister Manohar Parrikar on 21 December 2016, has noted that if majority of its recommendations are implemented over the next five years, the government can save up to Rs 25,000 crore from its current expenditure. The Committee has however warned that the implementation cannot be selective. As the report has apparently noted: the redeployment of manpower from and downsizing of some of the organisations under the MoD will have to be across the board and ruthless to be effective. Moreover, the Shekatkar Committee has made it clear that the saving made as a result of its recommendations must be redeployed in enhancing the combat capabilities of the Indian armed forces and not be merged in the general budget. What is the most important capability the joint force can develop for multi-domain operations? It is not land based artillery engaging ships, not applying surface-to-air missiles to create local air dominance, or even using submarines for anti-air warfare. These buzzworthy techniques are fascinating; but the reality of “extending combined arms across all domains” is more mundane and quite difficult. If U.S. forces are to master multi-domain battle we must first focus on tactical data flow through networks that form the connective tissue between sensors, decision makers, and shooters in disparate domains. Advanced physical employment configurations are simply new machinations of existing tactics; human-machine teaming is the quantum leap. Current tactical links are unable to seamlessly support high-speed actions between platforms, much less services. Even if the data could flow, the joint force also lacks coordination mechanisms in the other services to control these effects. Looking forward, existing data streams must be adapted, now, in order to be prepared for the employment of artificial intelligence on the horizon. In 2014, having withdrawn from Iraq and looking to end its official combat mission in Afghanistan, the U.S. Army started to assess the impact of more than a decade of almost exclusively fighting insurgents and terrorists. In that time, it had trained its troops primarily for that mission and bought gear specifically for those nebulous conflicts. But the world seemed to be getting more complicated and troops would need new weapons and gear to help deal with these threats. So, the ground combat branch went on a modernization blitz. In December 2016, the Army released a “top 10” list of its modernization efforts. The programs ranged from vehicles to aircraft to individual weapons and medical equipment. In March 2014, Russia seized control of Ukraine’s Crimea Peninsula. Moscow then began to supply tank and artillery support to insurgents fighting the government in Kiev, reigniting concerns about a potential conventional ground conflict in Europe between traditionally armed opponents. War is hard. Even the sharpest mind can’t accurately predict or adequately prepare for trial by combat. It is inherently dependent on the enemy’s zags and the environment’s zigs-we can’t foresee where war will take us, so while we may shape it at the margins, we can never truly control the next stage of conflict. Moreover, even if we could predict where war might go, it wouldn’t really matter since we can’t replicate the precise conditions of war, and therefore we’ll never be fully ready for such violent challenges. Both characteristics bear heavily on what strategists can accomplish at war, and so these merit some scrutiny. We cannot predict war accurately. We cannot understand a field of study until it has a defined and understood unit of analysis, author and doctor Siddhartha Mukherjee pointed out in a recent CNN interview. Physics has the atom, computer science has the bit, and biology now has the gene. This extends to other areas: historians study past events, international relations scholars study states, and lawyers study case law. For strategists, the fundamental unit of war is two people fighting for a political purpose, what Carl von Clausewitz called the duel. (See chapter one of On War for more detail.) This atomic level of war exists at the tactical and the strategic level. “War is nothing but a duel on a larger scale,” Clausewitz wrote. Unfortunately for strategists, this irreducible minimum interaction is intrinsically multidisciplinary and simultaneously touched by so many other fields (e.g., psychology, sociology, history, law, philosophy, etc.) that scholars will never get their arms or heads around war as a whole. And since we won’t know what animates each conflict-why some soldiers and statesmen choose to fight and others don’t-we won’t be able to identify the trend lines well enough to work out where war will take us next. The Cold War's conclusion should be viewed with less triumphalism. I had the privilege of taking a course with Arne Westad this past term on major power shifts in world history, beginning with the destruction of ancient Greece’s city-state system in the Peloponnesian War. The last event we considered was the collapse of the Soviet Union. For our second essay assignment, Professor Westad gave us a choice of nine prompts. I chose the last one—“Did the United States win the Cold War?”—in part because I thought the answer was self-evident: of course the United States prevailed. It is the world’s foremost power, after all; it inhabits a safer world, contrary to widespread perception; and there is no coherent alternative to the liberal world order that it has sustained and promulgated for some three quarters of a century. I increasingly wonder, however, if I answered in haste. A quarter century after the Cold War’s conclusion, there are at least two reasons why it may be useful to consider, if not an idly contrarian case, a more measured response to Professor Westad’s question: first, the growing risk of strategic indiscipline; and second, the potential for an accelerated erosion of the liberal world order America had hoped to secure for posterity with the Soviet Union’s defeat. Gross domestic product (GDP) is used as a measure of a country’s economic activity. GDP is defined as the value of all final goods and services that have been produced within a country during a certain period of time. Because it only includes final goods, intermediate inputs are not included in such a measure to avoid double counting. Until 2013, research and development (R&D) expenditures were considered intermediate inputs in the U.S. and, therefore, not included in the measure of GDP. However, the Bureau of Economic Analysis revised the GDP calculation in 2013 and started treating R&D expenditures as a fixed asset (i.e., an investment) rather than an intermediate good.1 As a result, R&D expenditures are now part of GDP. This revision has increased the levels of GDP. The figure below plots GDP computed with the new and old standard through 2012. Open borders are here. You likely crossed the Rio Grande before breakfast this morning and you’ll sneak into China before you sleep tonight. Trons travel through cyberspace ignoring all manners of political boundaries. Technology doesn’t care where Ukraine ends and Russia begins, or about an air gap between China and Taiwan. The policy of cyber does; it shouldn’t. The national policy for cyber borders has been similar to conceptions of airspace: a vertical extension of geopolitical borders into the sky, or in the case of cyber, into the flowing infrastructure of the internet. If a plane is going to travel through the airspace of another country, that country has to agree to it or the flight has to go around. A long-range bomber aircraft might fly over a few countries for a raid on the other side. Packets or “trons” can travel continents’ worth of countries in a path of least resistance taking seconds. Furthermore, while borders stay the same, digital routes are totally dynamic. In order to prevent the unintended escalation of cyber operations, we must divorce the routes trons take from the effects they cause. The following is excerpted from Edward Jay Epstein’s book, How America Lost Its Secrets: Snowden, the Man and the Theft, to be published this week by Knopf. The slaughter of civilians by terrorists using guns, bombs and even trucks shows no sign of abating, with deadly attacks in Baghdad, Berlin and Istanbul serving up bloody headlines over the holidays. With ISIS losing its traditional war on the battlefield, it is bringing more mayhem to our cities, which offer a nearly infinite number of soft targets. Police can’t protect them all—their only hope is to sniff out plots before they end in carnage. But these perpetrators are coordinating their assaults using end-to-end encryption on the internet and their mobile devices, which makes it almost impossible for government intelligence services to track them. The situation was very different three years ago, before Edward Snowden intentionally sabotaged several of America’s best weapons against attacks. The first system he exposed was what the National Security Agency (NSA) called the “215” program because it had been authorized by Section 215 of the Patriot Act. This program compiled the billing records of every phone call made in the United States, including the number called and the duration of the call, but not the name of the caller. This anonymous data was archived into a huge database, and when any foreigner on the FBI’s terrorist watch list called any number in the U.S., the FBI could trace that person’s entire chain of telephone contacts to try to determine if he or she was connected to a known cell. Clayton is no stranger to Knowledge@Wharton readers. In June 2015 he co-authored this opinion piece with David Lawrence, founder of the Risk Assistance Network and Exchange, Frances Townsend, executive vice president of MacAndrews & Forbes, and several other associates. The article lays out a plan for companies and governments to collaborate to deal with cyber threats. What Is the U.S. Strategy to Counter Foreign Cyberattacks? The director the top U.S. spy agency wants to create an “information agency on steroids” to counter the kind of propaganda campaign carried out by the Russian government during the 2016 U.S. election cycle. The new agency should publish on all mediums to fight the “information war a lot more aggressively,” Director of National Intelligence James Clapper told the Senate Armed Services Committee on Thursday. He added that the proposal is his “personal opinion,” not an agency position. The remarks came as senators pressed Clapper and National Security Agency Director Adm. Michael Rogers on whether the U.S. has a comprehensive strategy to deter and respond to cyberattacks, and what constitutes an act of cyber war. 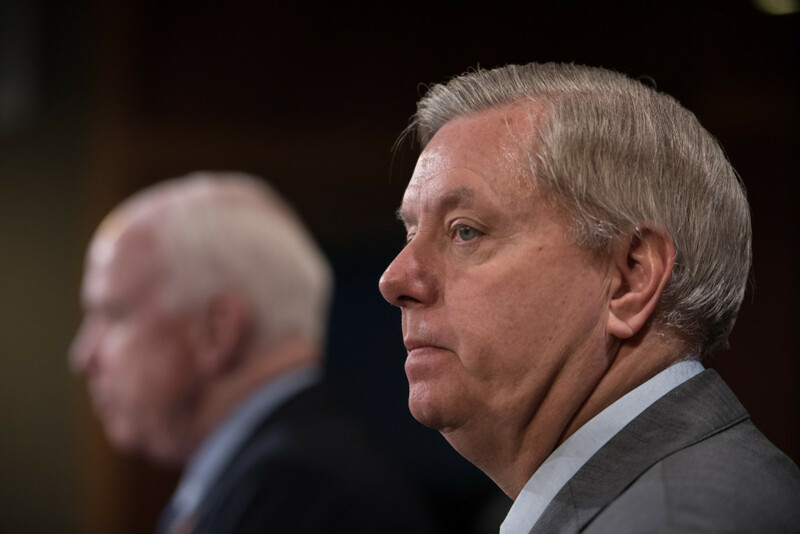 Committee Chairman John McCain agreed that an information agency would be useful, citing the importance of social media in fighting the cyber battle. But after the hearing, the Arizona Republican decried the lack of a concrete strategy.